If you’re reading this before reading part one, do that and then settle yourself in. 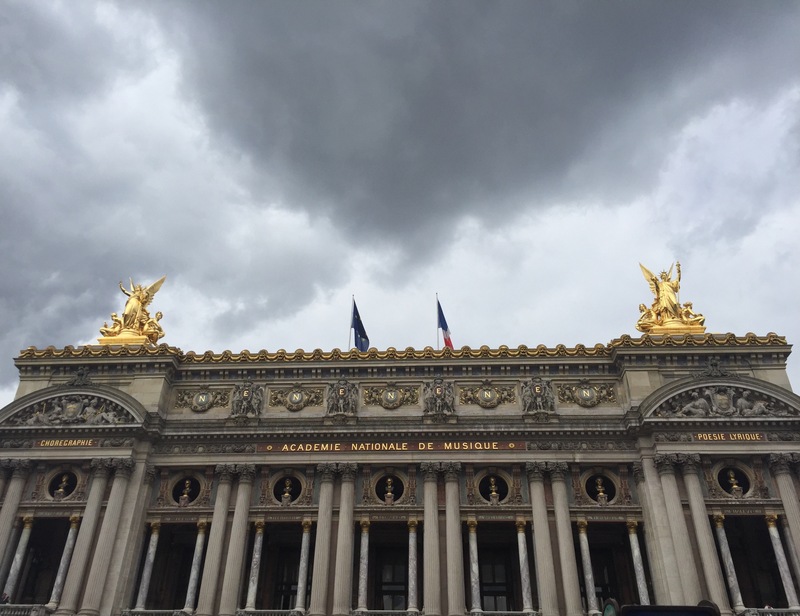 I left our little tale at the Musee D’Orsay, the stunning museum of art and sculpture on the Left Bank of the Seine and headed off to another pantheon of culture, the Opera Garnier. I’ve photographed and walked past this beautiful building a bajillion (ok, maybe four) times before and always wanted to go inside. 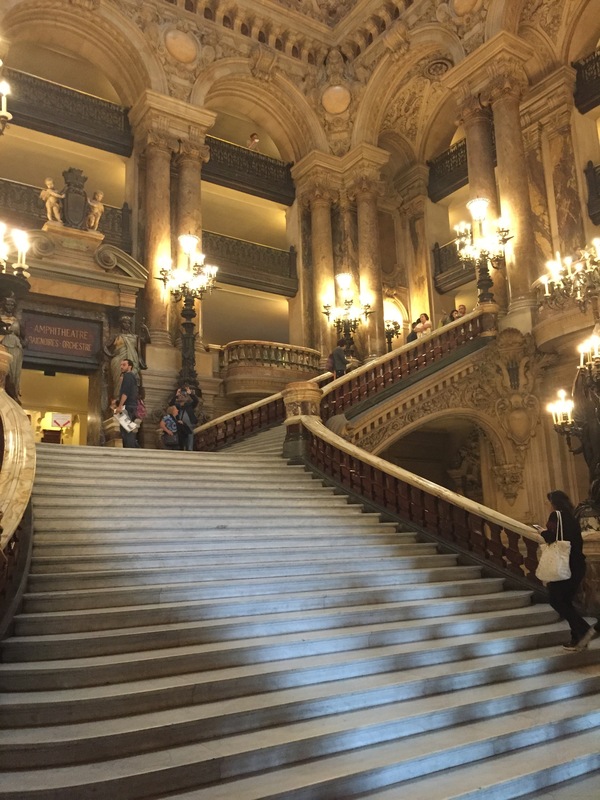 I had just seen an amazing model of the opera house at the Musee D’Orsay. 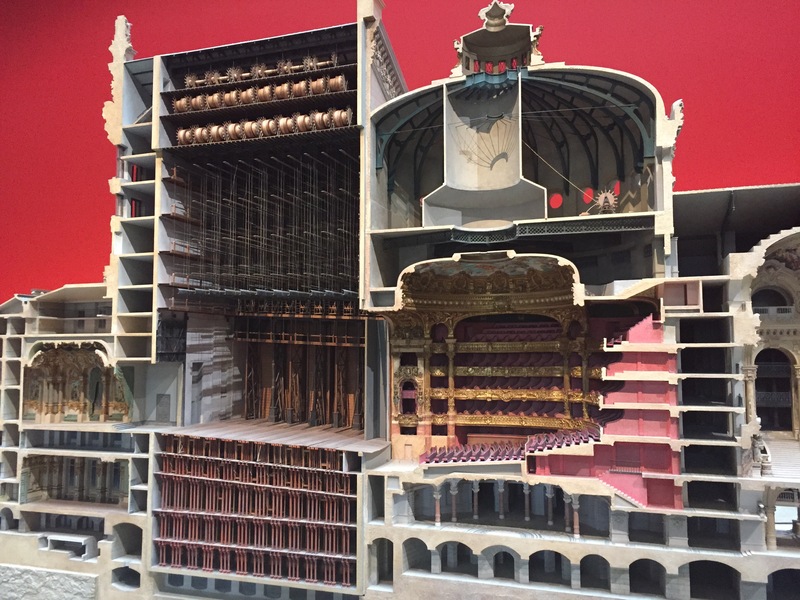 Cross section of the Opera Garnier – look at all those rooms! 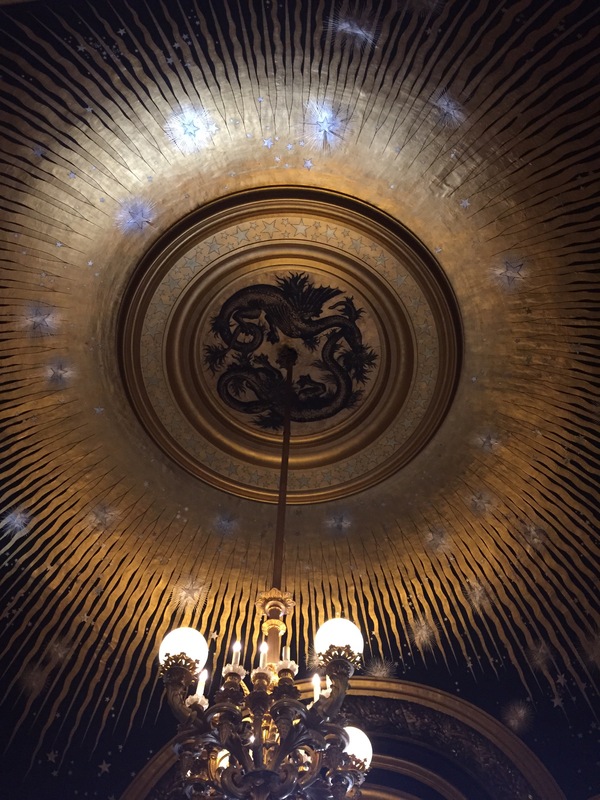 Look at all the pulleys for the set changes, the depth and levels of the building itself and is that an ornate “green room” behind the stage for the artists to repose in? I was lucky to find there were no queues and easily bought my ticket from the machine. 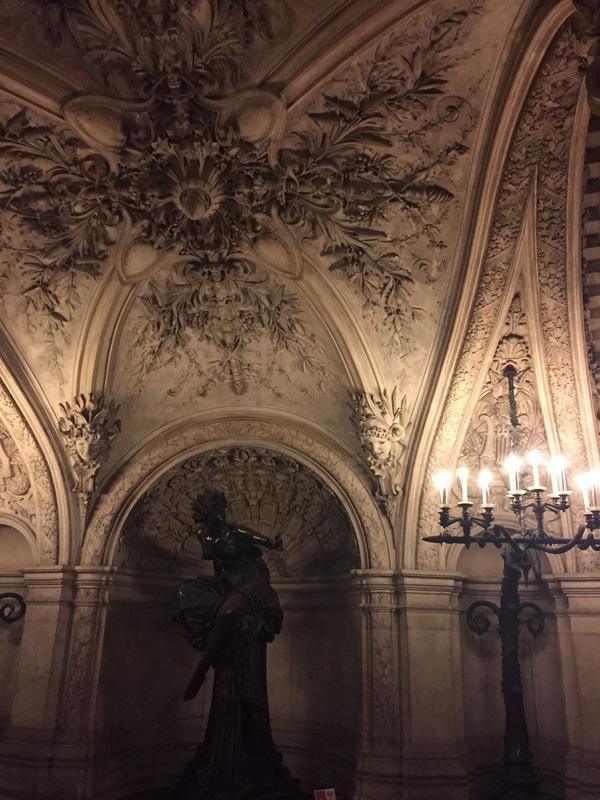 Stepping through the darkened lobby I started to sing tunes in my head from Phantom of the Opera based on the novel by Gaston Leroux. So pretty! Now where did that man with the white mask go…? 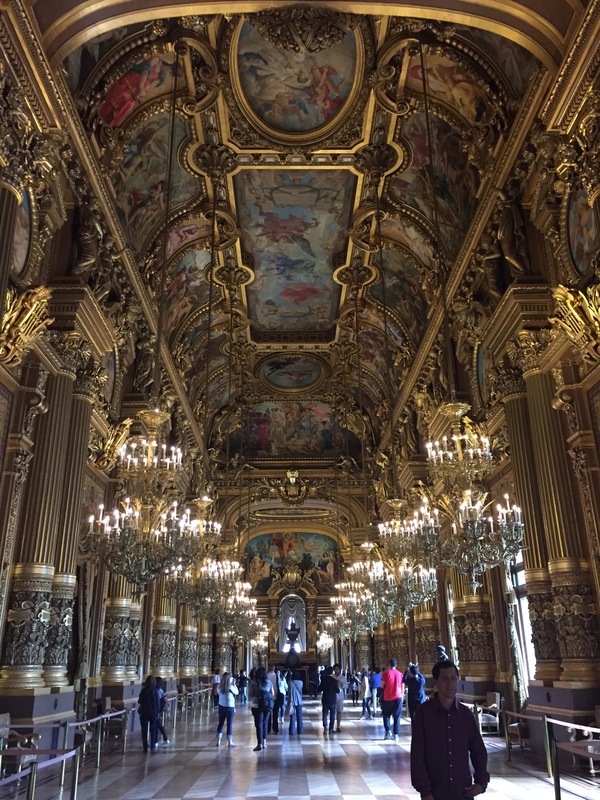 If you love beautifully ornate and opulent buildings then this place is a must visit. The auditorium was closed to the public as rehearsals were taking place for an upcoming production, but there were little viewing screens that you could look out of. 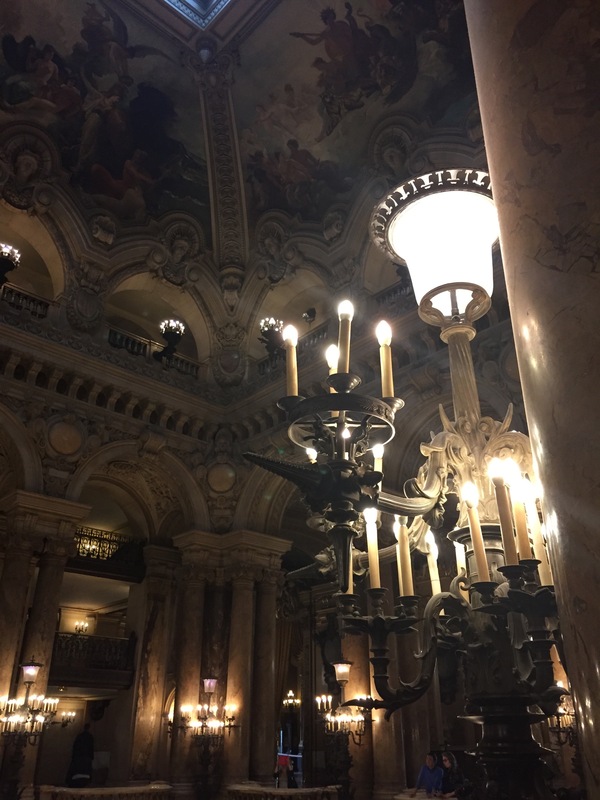 some dude ruins the stunning grand foyer! The afternoon was starting to pass quickly and I headed off to my next must-stop, the infamous City Pharma. A recent follower to the gospel of Caroline Hirons (wipes are for bums, not for your face!) there were a few things I was interested in getting. You can’t go more than a street without seeing a glowing green cross. French pharmacies are everywhere and rightly so, they are bastions of know-how in skin care and Parisian women are gorgeous. 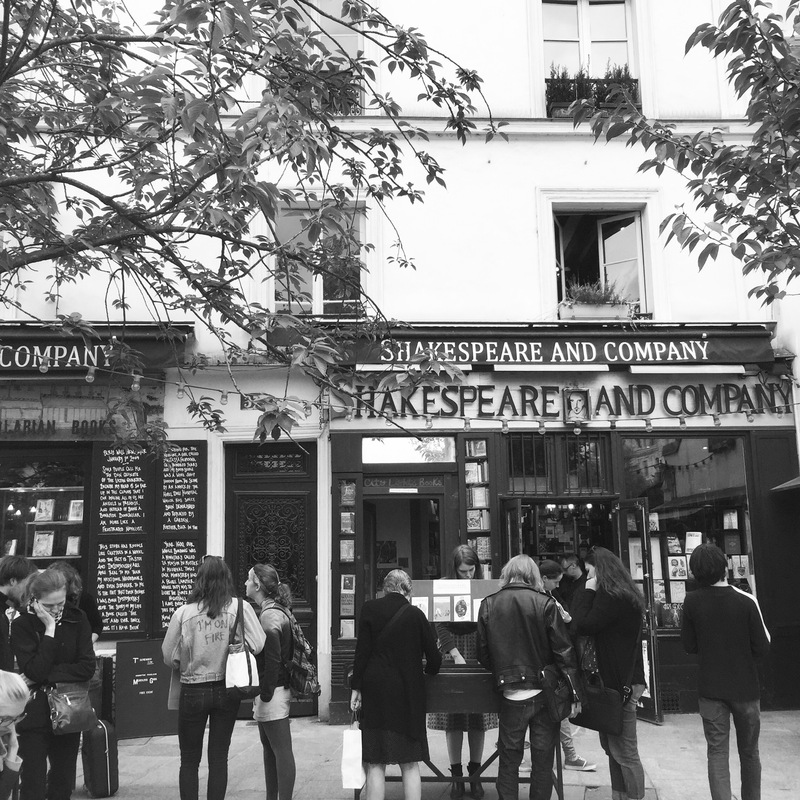 Based near St Germain des Pres on Rue du Four, I quickly found it by the amount of happy customers rushing out laden with plastic bags of product. It’s a happening spot. Arriving after four pm on a Friday it was HEAVING. Narrow aisles, filled with product, were almost impassable. Many pardon and excusez-moi were said. How many pharmacies do you know that you can’t open boxes, take photos or have security guards on every other aisle? La Roche-Posay Serozinc €4.90 – a great spritz toner for oily skin, also helps to heal cat scratches! Caudalie Eau Raisin Spray €3.99 – another awesome spritz toner, moisturising and soothing. Vichy Normaderm Hyaluspot €9.50 – anti-blemish gel with salicylic and hyaluronic acids. Klorane Dry Shampoo €4.49 – meant to be the best dry shampoo out there. Nuxe Reve De Miel Hand and Lip kit €4.89 – gorgeous smelling and nourishing hand cream and lip balm. Total spend of €27.77 and I reckon I saved about £17 on my purchases-definitely worth it! It’ll be my first stop whenever I go back, hopefully earlier in the day to avoid the hordes of women. Oh, and if one of the knowledgeable employees in white coats approaches and asks if you need help, then get them to help you. They know their stuff. I’ll write a separate post on how I get on with my beauty purchases. My tummy was starting to rumble and hubby was nearly finished for the day at the trade show. 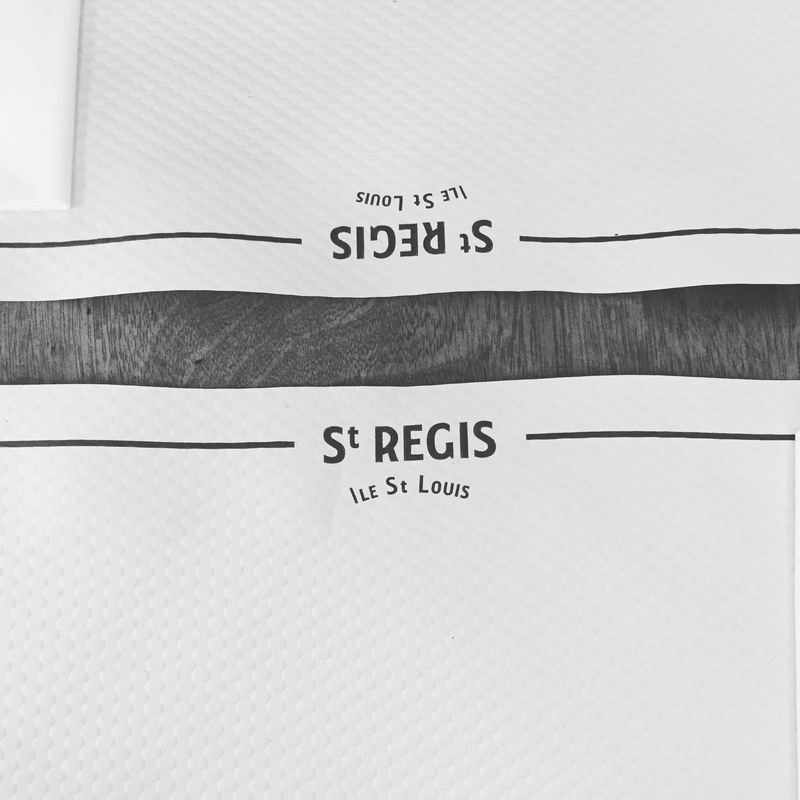 We decided to rendezvous at one of our favourite cafes on Ile St Louis. The walk took me down Boulevard St Germain. I was reminded why I really like the buzz on that side of the river, it just feels more friendly. 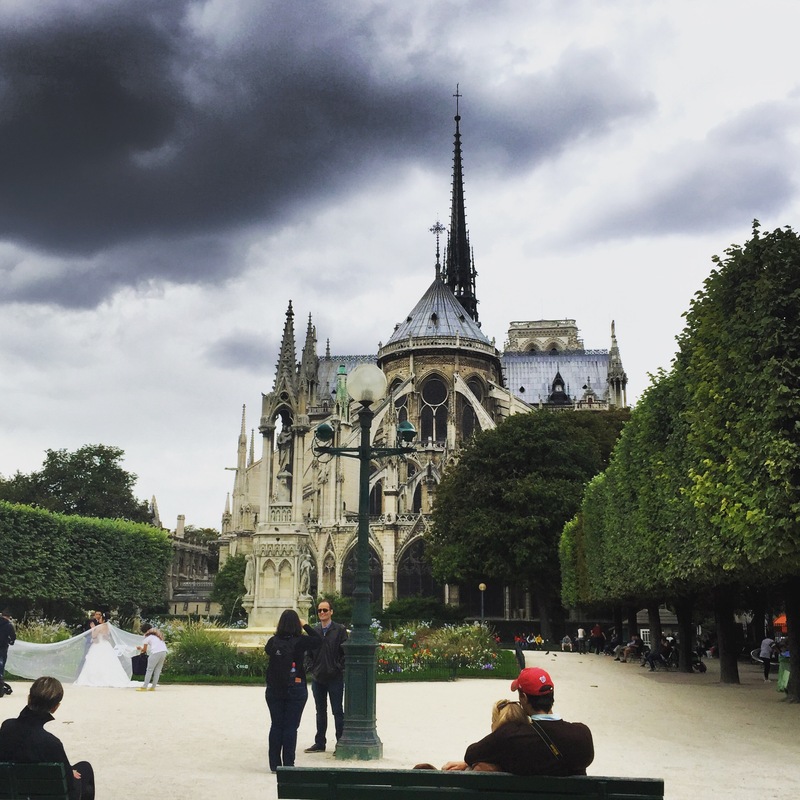 I took in some more sights and waited for my date. 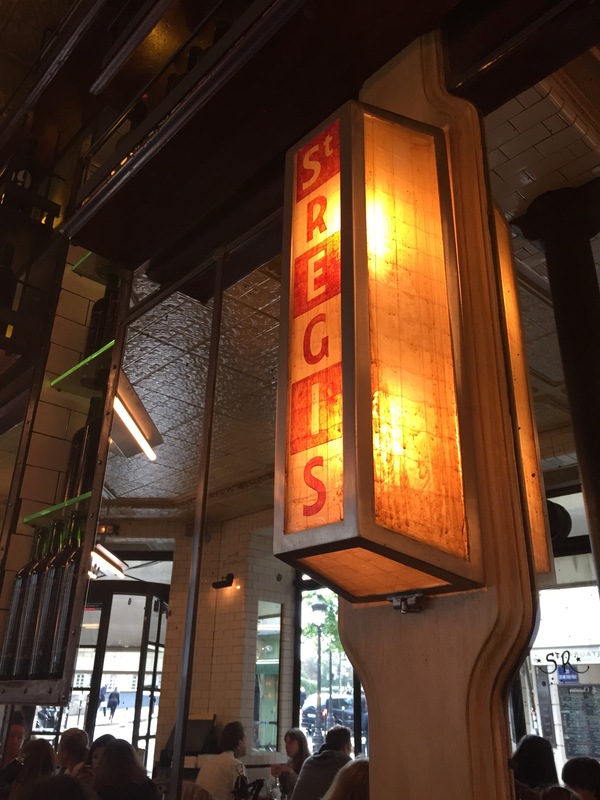 The first time I came to Cafe St Regis I was in serious need of a food pick-me-up and loved the atmosphere within its understated walls. There’s always a cross section of society seated at the tables…last time there was a nun drinking a beer. I love sitting somewhere and hearing different languages being spoken. The mix of locals and tourists keeps service prompt yet leisurely, we are on the continent after all. I recommend this place wholeheartedly! I was watching my sugar intake so instead of nutella, I had lemon and sugar! 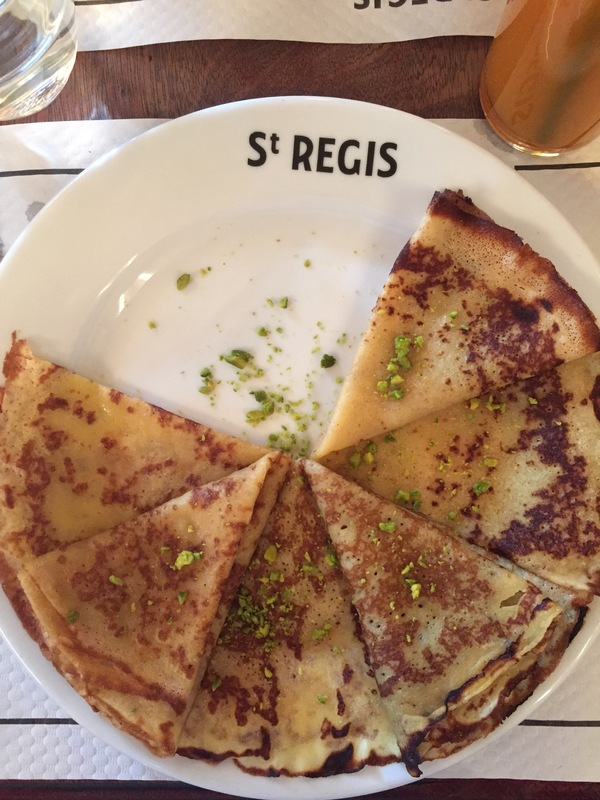 You can’t go to France without having a crepe or two. Maybe three. Plus I started my nectar d’abricot addiction, oops! Satiated we made our way back to the hotel feeling happy but knackered. I looked at my health tracker and realised that I had walked 17kms, no wonder! A quick rest up and turnaround for a late dinner at a nearby restaurant brought the day to an exhausted end, ready for the visit to the trade show the following day. 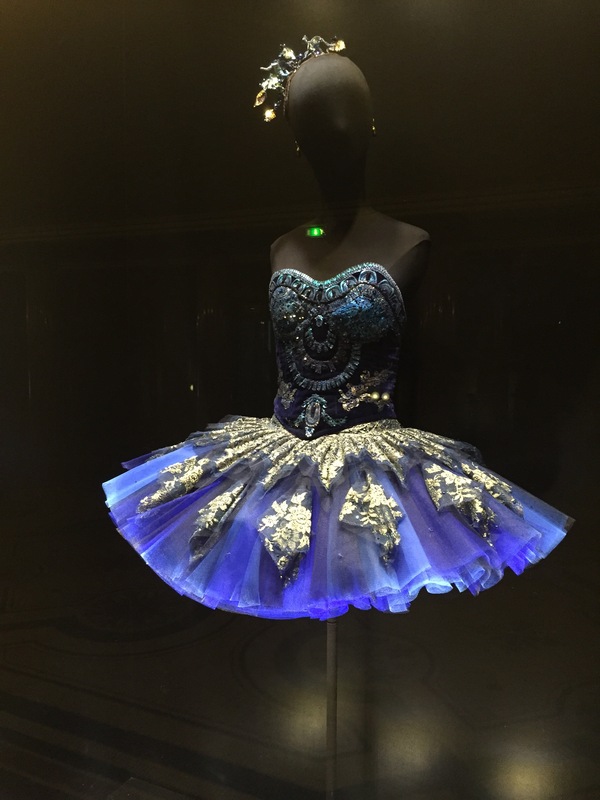 In the next post… A day at the biggest trade show I’ve ever seen – Maison et Objet.